In order to fulfil any order you may place via our website, it is necessary for us to collect certain information from you. The type of customer information we ask for includes name and address for billing and delivery purposes, day phone number, email address and product preferences. Patchwork Place takes seriously the issue of customers' privacy, and has taken the appropriate measures to ensure with confidence that any information given to us by our customers is protected. We recognise the sensitivity of your personal information and will never share your details with any other organisation. 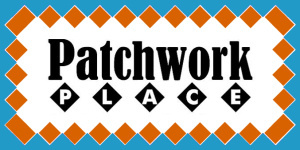 From time to time Patchwork Place may email you a newsletter indicating new products, specials and discontinued lines. We respect your privacy and should you at any time which to discontinue contact with us please contact us by phone or email, the details of which are on our Contact Us page.